Being an expat living in Dubai, and having family that live thousands of miles away back in England, means that usually any family occasion calls for flowers or chocolates ordered online. However, I think I have found a new expat tradition to befall on all family occasions from now! 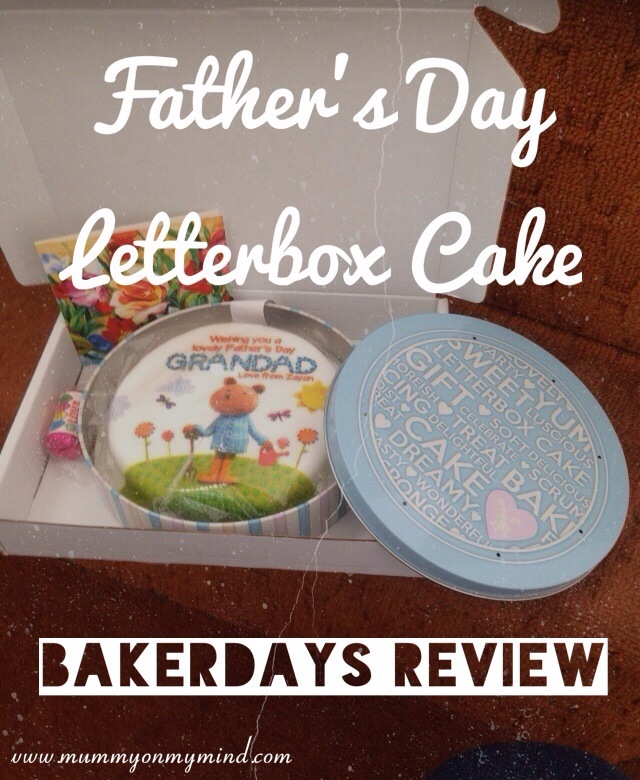 The Letterbox cake from Baker Days! Baker Days are a company that specialize in cakes for pretty much any occasion under the sun (just have a look at their website!). They also offer cupcakes, and have very recently ventured on to the new concept of selling the Letterbox Cake! A few days ago I was contacted by Andrea from Baker Days, who very kindly offered to post me their new creation; the Letterbox Cake. How could I possibly resist? Since Father’s Day is coming up (June 21st folks, don’t forget! 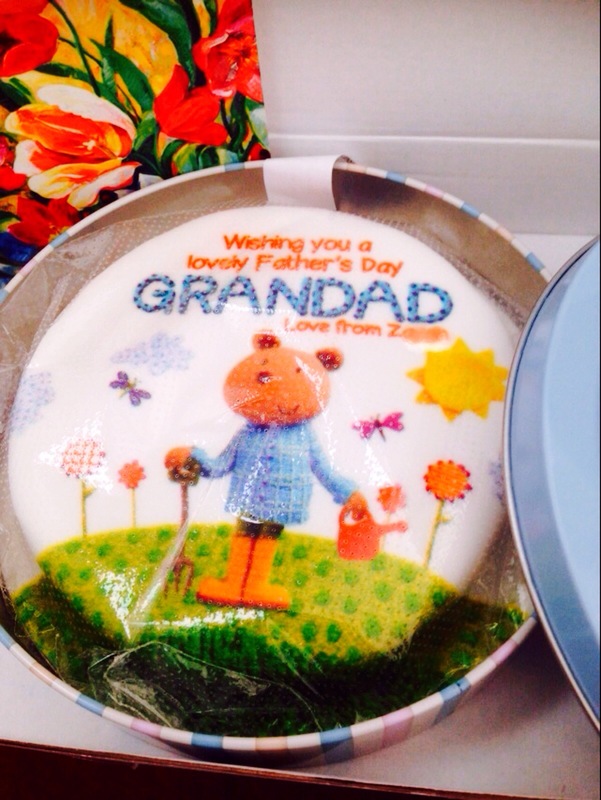 ), I was asked to choose from a range of special Father’s Day designs. The best part was that I could personalise them too! 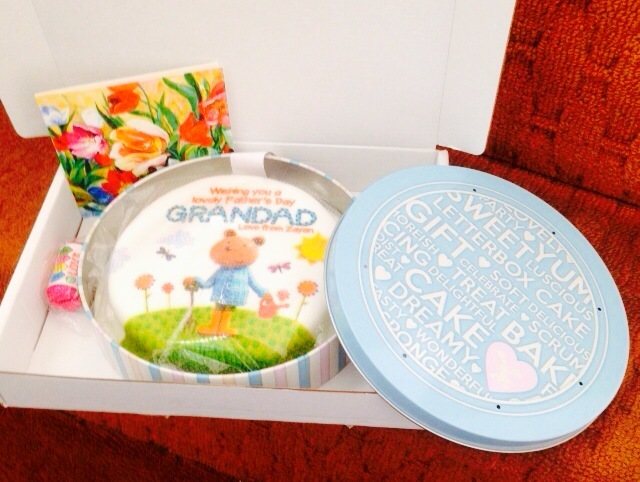 Looking at all the lovely designs, I just knew straight away that I wanted to send the Letterbox cake to my dad, from his grandson – Baby Z! Grandad was going to be thrilled, and I couldn’t wait for his reactions! Below is the photo that was whatsapped to me by Daddy dearest this morning. I do wish I was there to have seen his reaction for myself, but I am in no doubt that he loved his early Father’s Day treat! The new way to celebrate – petite and personalised cakes Bakerdays.com: delivering perfectly fresh and delicious cake through the letterbox from just ￡14.99! You can¹t always be there to share a special occasion with a friend or loved one. But you can let them know you¹re thinking of them by sending something which is personalised and therefore unique. 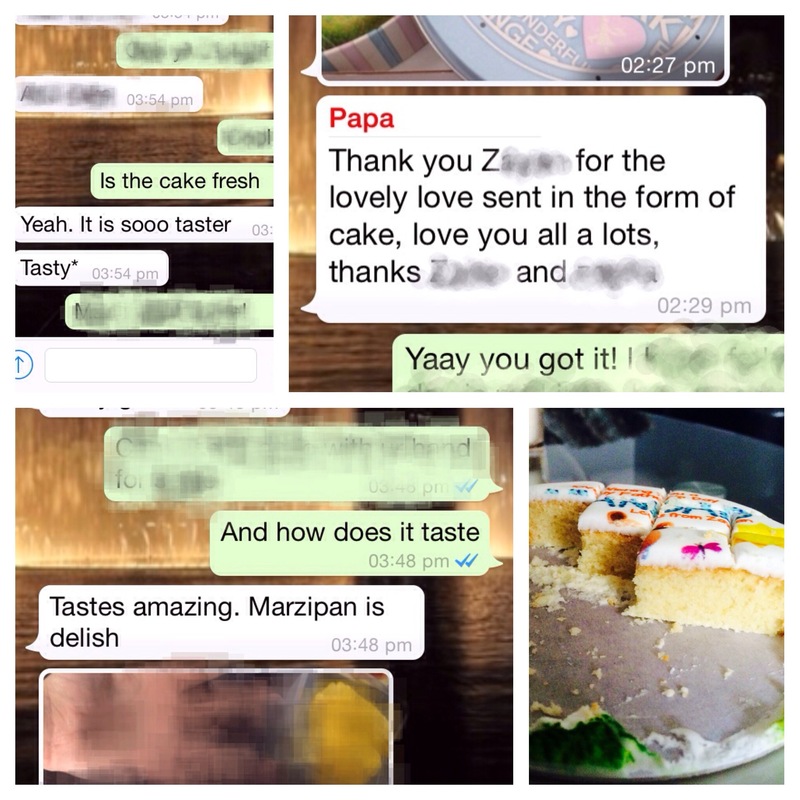 The above photo is testimony from my parents and younger brother who thoroughly enjoyed devouring the little cake. (Excuse my brother’s spelling errors and street language for “delicious”! Pfft! Teenagers!) 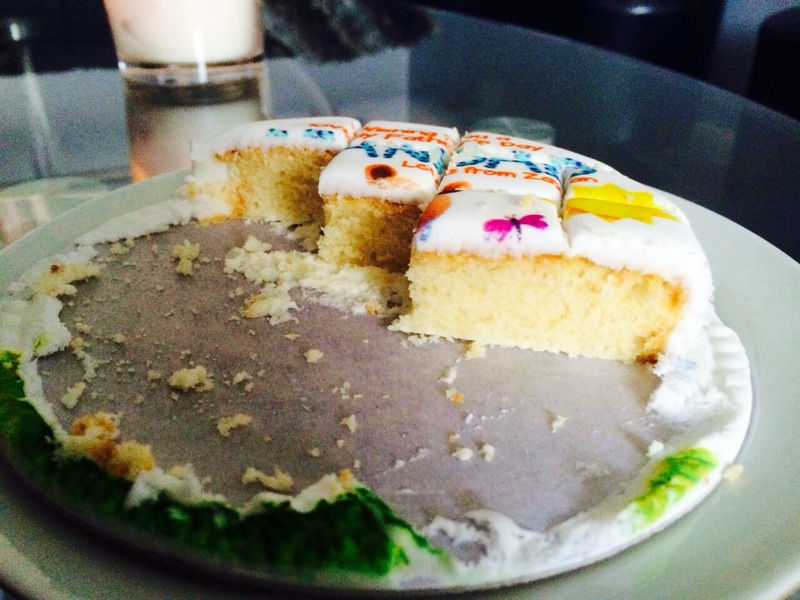 I must admit, when it comes to sugar coated cakes, you generally tend to find them too sugary and dry on the inside, but according to my parents, the cake was moist and simply delicious! I am not going to lie, their whatsapp messages had me drooling in Dubai! Another point that I would like to mention is the great customer service offered by Baker Days. Being an expat and thus coordinating all this through email from a different time zone, their responses were quick and to the point. This is very much appreciated! I am also thankful to them for answering my zillion questions! Overall, I would most definitely recommend Baker Days Letterbox cakes for any of you who wish to give your loved ones an awesome surprise, and something that is the next level up from the traditional concept of flowers! 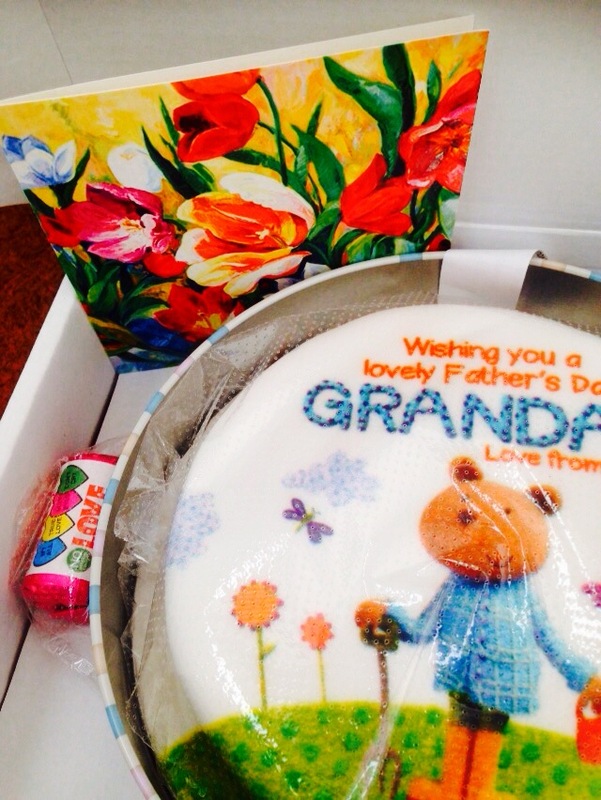 I am pretty sure I will be sending another letterbox cake to my lovely mummy on the next Mother’s Day because of this great experience (and I suspect she might be a little jealous of my Dad)! 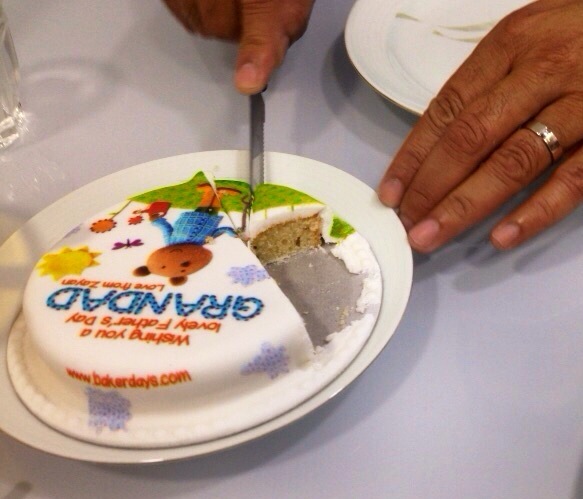 Note: Baker Days very kindly sent the cake in exchange for an honest review. All opinions in this post are my own. 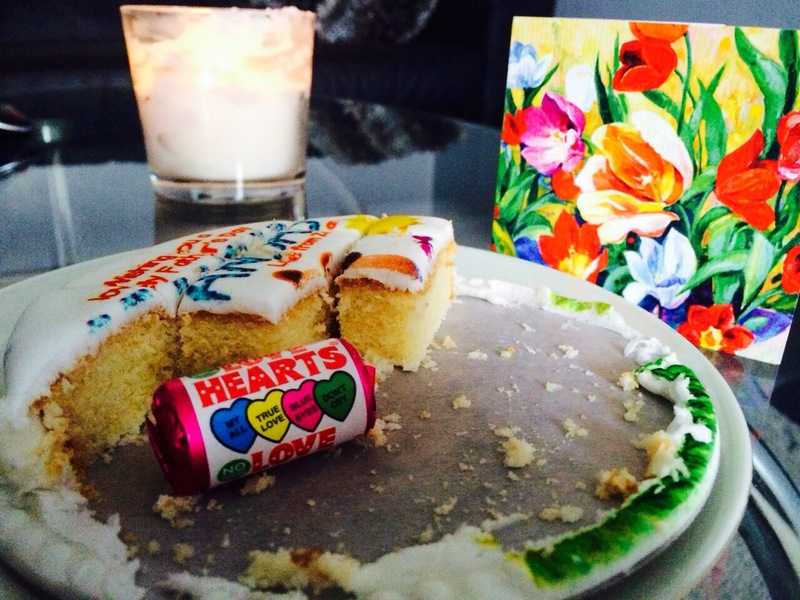 Have you tried the letterbox cake yet? What do you think of this review? Please feel free to share your thoughts in the comments section below! I have to admit, I have been waiting for this review hehe. I remember seeing it on your blog and you were going to review it and I thought damn I wish I could read it now. Eeeee here it is. I am completely intrigued. I was hoping it was a real cake. This is a fantastic idea!!!!! I am going to look at their site now. I love it!!! Great post!! Haha Thank you so much! It really is a fantastic idea! I’m just bummed that I couldn’t actually taste it!! Going to have to order myself one when I go back to England! ? They really do! Oo I’m going to have to try their carrot cake now! Welcome to sunny England! Perfect timing, Autumn is here!